maximum performance with aesthetics born of aerodynamic design. The result is a work of art. The Masai Mara's proprietary Inertia Plus Locking System™ locks the bolt under all conditions with little effort. It’s unstoppable, extremely quite in chambering and unrivaled in performance. 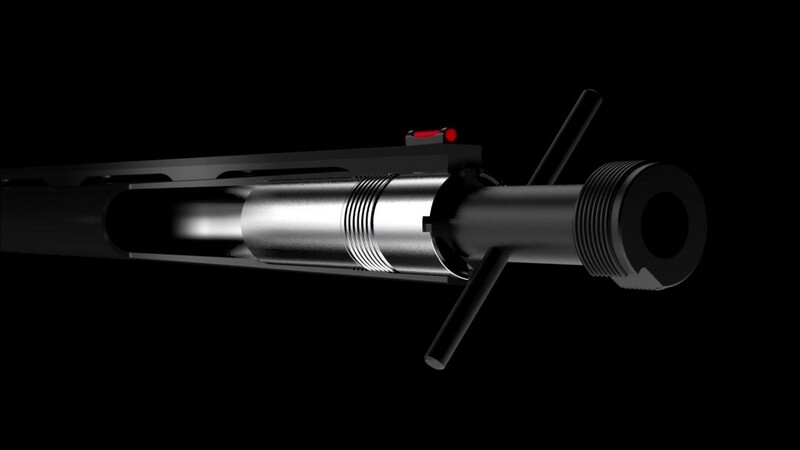 The Masai Mara’s proprietary Removable Trigger System is a revolution in gun safety and maintenance. • Milled from block aluminium and so simple to assemble and disassemble without the need for tools. 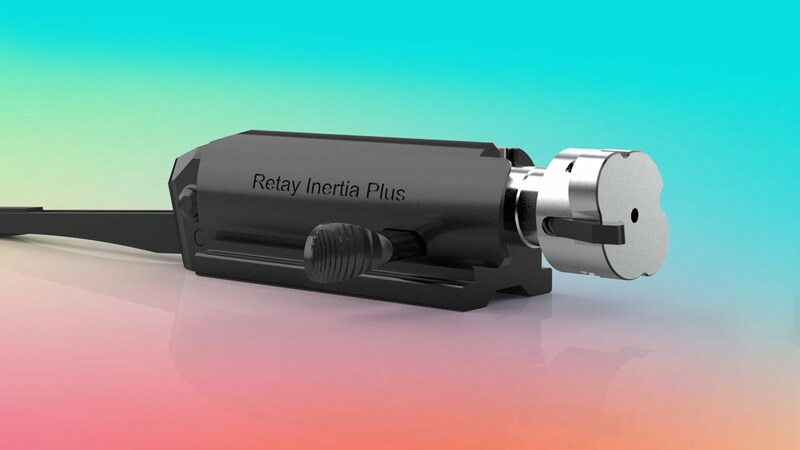 • Simply push and remove the trigger group for quick and easy cleaning and safer gun storage. Milled from block aluminium and so simple to assemble and disassemble without the need for tools. Simply push and remove the trigger group for quick and easy cleaning and safer gun storage. The entire trigger group can quickly be removed at the push of a button. 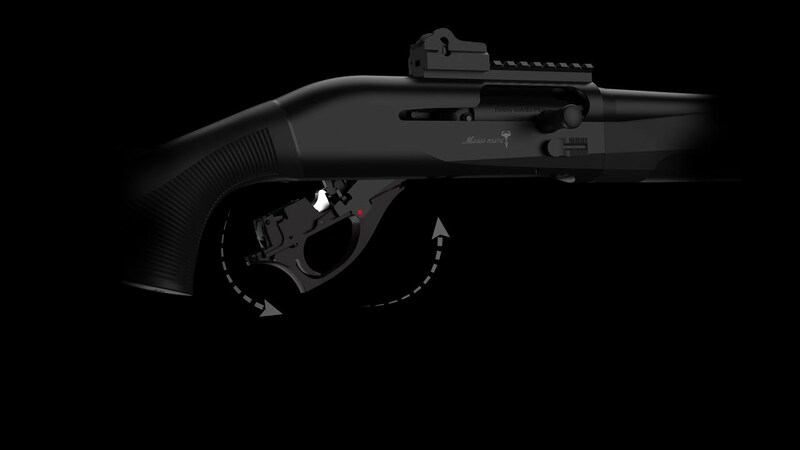 Removing the trigger group and locking it in a separate location from the shotgun, makes for more secure home storage. Monoblock Bohler Steel, Precision drilled and chrome lined, with dimensions optimised for superior patterns. 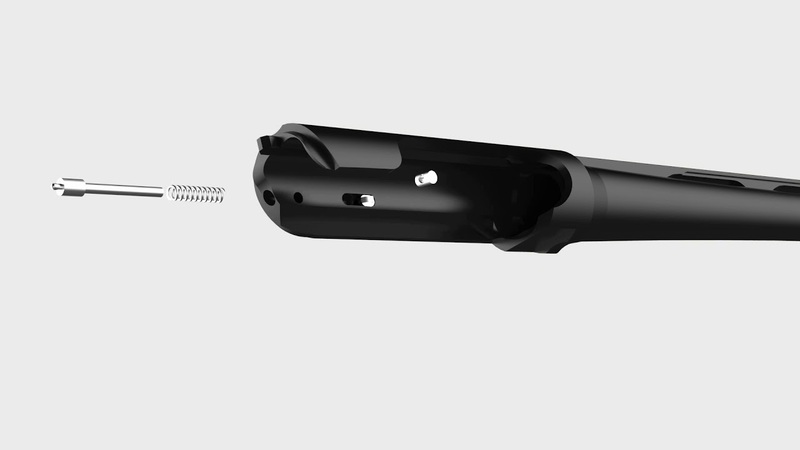 The precision drilled Marabored barrel is designed to shoot comfortably and pattern superbly with both light and heavy loads. Better pattern quality, consistent pattern distribution and efficiency are achieved through a combination of extended forcing cone and optimized bore diameter. Marapro chokes give improved pattern distribution and distribution quality. Every Masai Mara shotgun comes standard with a full complement of five chokes. We engineered the interchangeable MaraPro Chokes to maximize the constancy of shot placement through reduced friction that enhances load speeds. The design of our proprietary Removable Ejector System makes the care and cleaning of the Masai Mara quick and easy to accomplish at home or in the field. All Masai Mara Shotguns are available in the most popular brand name camouflage patterns on the market. high-tech microcell material mated with the most popular brand name camouflage patterns on the market. The recoil pad is designed for comfort and fast shouldering. It's produced from high tech microcell foam material and helps to quick shouldering with ease and reduce the recoil in shooting. All Masai Mara 3.5" Chambered Shotguns are available in the most popular brand name camouflage patterns on the market. The socks come with a full complement of adjustment shims and plates making the stocks fully adjustable for your perfect fit.